Variant Frequencies was a podcast that stretches the entire bandwidth of genre fiction, modulated by a constant element of the fantastic. for just a little while. All of her clients know that anything above her neck costs fifty dollars more. But when a flesh-smashing session with one of her regulars takes an unexpected turn, there’s a lot more put on the line than a broken nose or a crumpled President Grant. 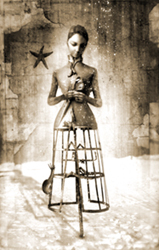 The anthology from Cutting Block Press, Tattered Souls, is now on Amazon. Tattered Souls includes The End of Flesh by Matt Wallace. The End of Flesh first appeared on Variant Frequencies as Children of the Androphagi. 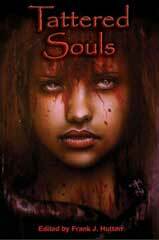 Tattered Souls is selling for $16.95. It is well worth the price. Still want more of Matt Wallace’s writing? 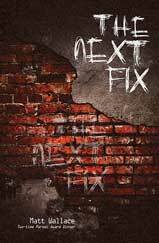 How about more reading by Rick Stringer? 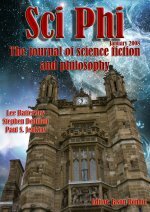 Our friends at Sci Phi – The Journal of Science Fiction and Philosophy have that and more for you. Issue #1 of Sci Phi is available from their site for $7 for the download version or $13 for the print version. How is this for a great lineup? Obsession is close kin to determination. For one man, an alien peak seems just another obstacle capable of being conquered with the right set of tools. But any climber will tell you — you don’t want to look back the way you came. Recently, Anne and Rick had the pleasure of being interviewed by Wander Wolf for his podcast Wander Radio. We were honored to talk with him. This is a rare opportunity to hear Anne talk about her craft, and you can hear some of the background of Variant Frequencies. My print copy of Playing for Keeps by Mur Lafferty arrived today. What a great thing to come home from work to. 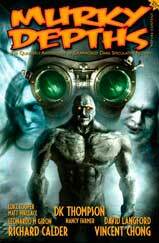 For that one person out there who doesn’t know, Playing for Keeps is Mur’s latest novel. She is currently in the process of podcasting it. Playing for Keeps tells the story of Keepsie Branson, a bar owner in the shining metropolis of Seventh City: birthplace of super powers. Keepsie and her friends live among egotistical heroes and manipulative villains, and manage to fall directly in the middle as people with powers, but who just aren’t strong enough to make a difference. Or that’s what they’ve been told. As the city begins to melt down, it’s hard to tell who are the good guys and who are the bad. Mur has done a fantastic job with this book. I’m really enjoying the podcast. Now that I have the book, it is going to be hard not to skip ahead of the podcast.